Asabea Ayisi Accessory Training Workshop is a 2-Day workshop designed to train both men and women on how to make fashion accessories in Ghana. 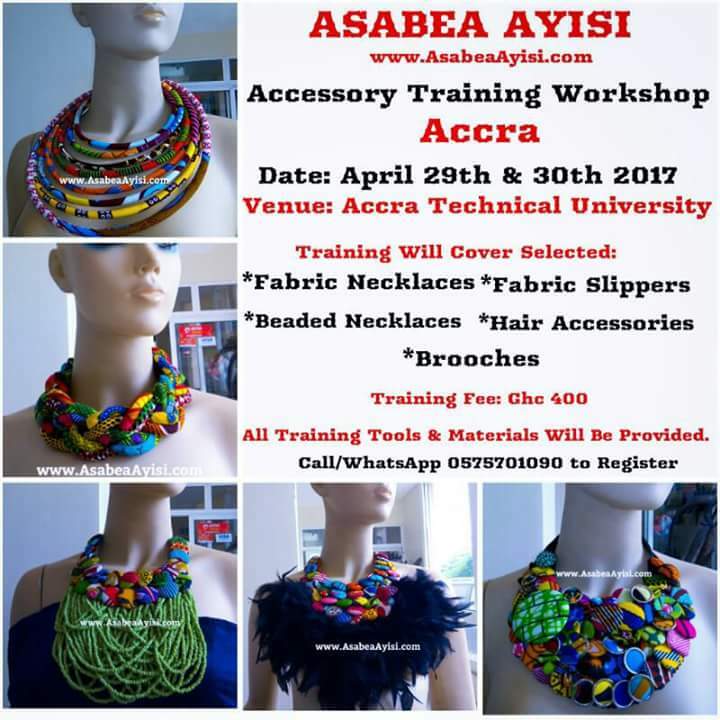 This training is scheduled to hold on 29th and 30th of April, 2017 at Accra Technical University, Ghana. The cost of the training is Ghc 400 and all training tools and materials will be provided.